UNILEVER, THE WELL-RESPECTED CONSUMER GOODS GIANT, TAKES TOP SPOT FOR THE SECOND TIME, WHILE PROPERTY COMPANIES BUILD ON THEIR SUCCESS. AND EASYJET'S CAROLYN MCCALL WINS MOST ADMIRED LEADER. What more fitting winner in this the 25th anniversary year of Britain's Most Admired Companies awards, than a company that was there right from the start? One of only two companies from the original 1990 top 20 that have retained their place in the nation's premier league of corporate reputation, in fact. Even more apt given its reforming CEO's very public eschewing of short-termism, this winner has recorded one of the most sustained long-haul performances in the awards history, not only appearing in that very first top 20 of 1990 but remaining firmly within every single top 20 since. To cap it all, it's even won the overall award before, back in the dark days of 2010 when the chickens of the 2008 financial crash were still coming home to roost. In winning again this year, it joins a very exclusive club indeed. Only a handful of other companies in Most Admired's history have won the coveted pewter star more than once - including Diageo, Tesco and Cadbury-Schweppes, now a mere shadow of its former self as an offshoot of US food giant Mondelez. 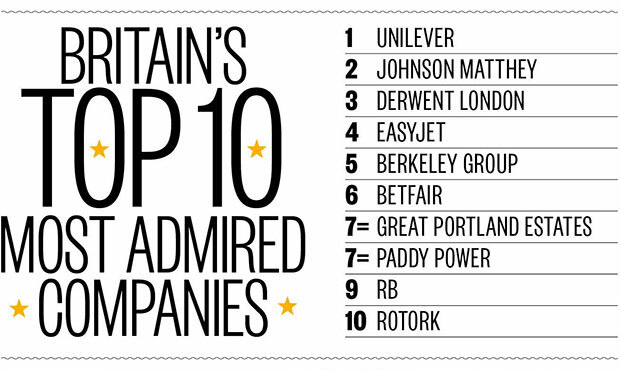 Britain's Most Admired Company of 2015 is Flora-to-Vaseline, Dove-to-Domestos consumer goods giant Unilever. It has won in fine style, with a higher score than last year's champion and taking no fewer than three of the special criteria awards, to boot - for Financial Soundness, Ability to Attract & Retain Top Talent and Quality of Marketing. Not a bad trio of assets for any organisation to possess. The award tops off a vintage year for the Anglo-Dutch outfit and its CEO Paul Polman (pictured below right), with predicted full-year sales revised up to around €50bn - growth of getting on for 4%, not half bad in such tough global market conditions. It has responded vigorously to the long shadow cast by the Chinese slowdown: Q3 sales across all its emerging markets (which account for 60% of total revenues) are up a solid 8.4%, with Latin America and Turkey highlights. Increased R&D spend is paying off too, with the caffeine-fuelled sales of its espresso-flavoured Magnum ice creams a big hit in Europe, and a new range of 'dry spray' deodorants helping Americans keep their cool in the summer heat. Diversity - of both product and geography - remains a Unilever strength: more narrowly focused rivals may soar higher initially, but in the end they fall further too. Central to that reputation is the Sustainable Living Plan, Unilever's agenda-setting commitment to halve the environmental impact of its activities whilst simultaneously doubling revenues and improving the lives of one billion people (approximately half its total customers) in developing countries - all by 2020. Launched in 2010, the SLP is now at the halfway point, and it has also helped unite Unilever's once-fragmented customers, employees and shareholders around a common corporate narrative. Even the formerly sceptical City, where 'green' aspirations can be regarded as a ruse to cover up financial underperformance, is getting on board: Unilever shares are becoming an increasingly common 'buy' recommendation. 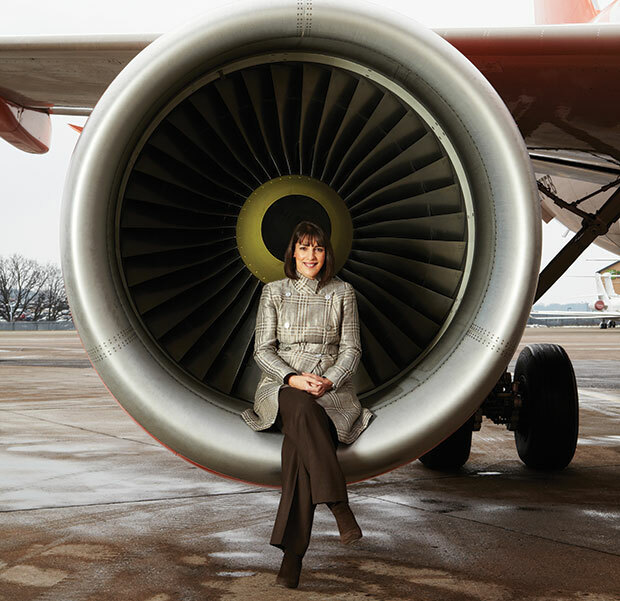 This year's other landmark result comes in the Most Admired Leader poll, won for the first time by a female CEO - none other than easyJet's high-flying boss Carolyn McCall. Having seen off an attack on her pay packet from unruly founder Stelios Haji-Ioannou last year, McCall has had a clear runway and really made the most of it. With pre-tax profits up 18% to a record £686m on revenues of £4.69bn, the 'premium low-cost' airline carried 68.6m passengers in 2015. McCall's controversial decision to buy 30 new aircraft has been vindicated, and with a new role as one of the pro-EU members of PM David Cameron's business advisory board, McCall is now firmly established as one of the country's most effective and influential CEOs. Back to the main Most Admired league table, in second place comes last year's winner Johnson Matthey, pipped to the post but still taking the criteria awards for Value as Long-term Investment and Community & Environmental Responsibility. The biggest company you may never have heard of Johnson Matthey is a market leader in automotive catalytic convertors and is also diversifying into battery tech and other new applications for its particular branch of expertise in chemistry. It's exactly the kind of knowledge-based high-value specialist that the UK needs more of. As a peer-review survey, the essential question that Britain's Most Admired Companies sets out to answer is 'How do your rivals rate you?' It is based not on hard metrics such as financial performance, but on the more mutable but equally important quality of reputation. The winners are chosen not by a panel of judges, with all the horse- trading that implies, but by every company's sternest and best-informed critics - its immediate competitors. One sector which is doing pretty well according to that singular BMAC methodology is the property business - it is the most confident of all the 25 sectors in this year's survey, with a total score of 630, and there are two London-focused property firms in this year's top 10: third-place Derwent London and Great Portland Estates at equal seventh. Derwent has had its best ever year for rentals, according to CEO John Burns, letting over 500,000 sq ft in the first nine months of 2015. It also wins the criteria awards for Quality of Goods & Services and Innovation, a remarkable achievement in an industry not renowned for either attribute. 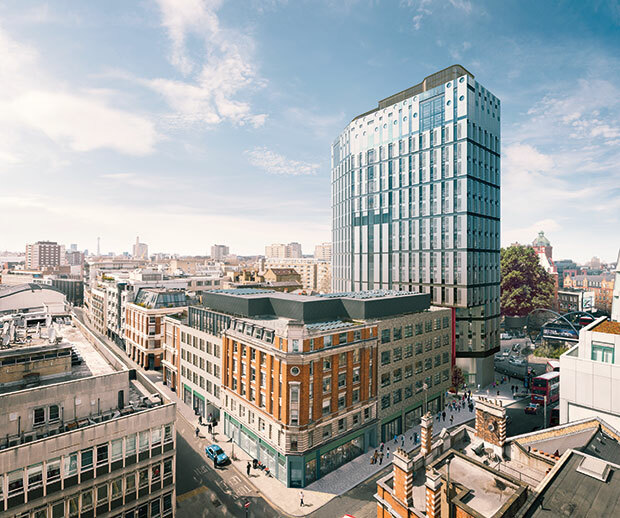 But its forward-looking office spaces such as the Old Street Roundabout's White Collar Factory provide comfortable, flexible and reconfigurable workspaces ideal for the co-working generation. Success is a necessary if not a sufficient condition for admiration after all, and the UK capital continues to be a huge draw for investors from across the globe. Whether it's an office for a new start-up, a mansion on Kensington Palace Gardens or an off-plan new-build flat in Lewisham, everyone from Silicon Valley entrepreneurs through escaping Russian oligarchs to the Chinese mass-wealthy professional classes wants a piece of British bricks and mortar. More than 80% of the investment in London property is now reckoned to be coming from overseas, a fact that may not go down well with struggling first-time buyers but which has almost certainly helped Berkeley Group - Tony Pidgley's south-east centric executive home builder - rise 10 places to fifth overall in this year's table. The other hot sector is gaming. Sixth place Betfair is the highest riser in the top 10, up from 38th last year thanks partly to an injection of energy from CEO Breon Corcoran and partly to the City-pleasing £5.7bn 'Betty Power' mega-merger with Dublin-based high street rival (and Corcoran's former employer) Paddy Power. 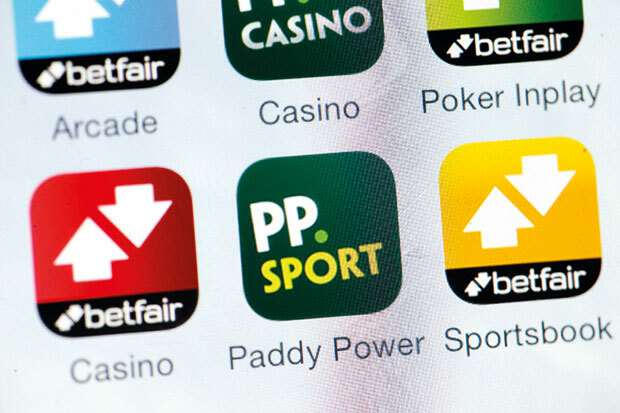 Paddy Power itself comes in one place behind at equal seventh, down from last year's high of fourth, suggesting that the industry reckons the deal might be more to Betfair's benefit than Paddy's. Either way the merged entity - which, subject to regulatory approval will be the world's largest online gaming business - looks like a pretty good punt. Bookies aren't the only people gambling on big deals this year, in fact M&A is very much back on the menu across the board as corporates with cash to spare but feeling the margin squeeze go looking for economies of scale - and to take out a competitor or two while they are about it. In beverages, Budweiser brewer AB InBev (itself the product of several mergers as the rather mangled monicker suggests) is about to imbibe SABMiller, a massive £71bn swallow that will result in the world's largest beer business generating almost 50% of global beer profits. In telecoms, the rather more modest sale of O2 by Telefonica for £10bn should give purchaser Hutchison extra heft in a market which is consolidating at breakneck speed. In the oil, gas & extractive sector, BG Group - hit by the double whammy of the loss of its visionary boss Frank Chapman to cancer in 2013 and the ongoing slump in the oil price - is in the process of being subsumed by giant rival Shell. Some industry watchers fear that the £40bn price tag is too high, and that without a prompt return to higher commodity prices the merger may struggle to create value. But at 13th overall, Shell is up 47 places from last year, the highest-placed oil company in 2015's survey. Up seven places in ninth is RB, the household goods company formerly known as Reckitt Benckiser whose brands include Cillit Bang, Vanish and Durex. It's one of no fewer than three Anglo-Dutch multinationals in the top 20 (the others being Unilever and Shell), highlighting the close ties to Europe that are woven into UK plc. Whatever one's stance on next year's in/out EU referendum, it is pretty clear that an 'out' vote would have substantial commercial implications for many of the UK's largest employers. The aforementioned low oil price - which after 12 months at well under $100 is surely now officially more than a blip - has had effects right across the 247 companies in this year's Most Admired. Those industries such as chemicals (with its reliance on petroleum-based feedstock) and air transport (ditto jet fuel) where cheap oil goes straight to the bottom line are the winners, whereas those whose customers are to be found among the ranks of the oil majors themselves - especially offshore engineering outfits - have had a hard time of it. Rotork is one such, but despite a bumpy year, the Bath-based manufacturer of high-tech valves and actuators hangs onto its regular top 10 slot - if only just. Notable by their absence from the top 10 this year are the retailers. 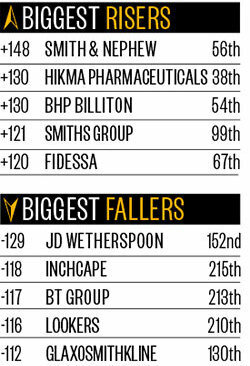 Last year's runner up, Next falls nine places to 11th this time around, while chattering classes' favourite the John Lewis Partnership is down 10 to 15th. The highest placed supermarket - Aldi of course - can only manage 22nd, while Sainsbury's, despite being way down in 126th place and seeing its first half profits tumble by a shocking 18% to £308m, does best out of the Big Four. Former six-times Most Admired winner Tesco languishes in 163rd, but new boss 'Drastic' Dave Lewis can take some solace in the fact that it is at least up 18 places from last year's 181st. So while we are still keen on many of the products they sell, as the success of Unilever demonstrates only too well, we UK consumers may be falling out of love with some of the shops that have sold them to us over the past couple of decades. If Napoleon Bonaparte were alive today, he might have to revise his famous opinion - it seems that in the 21st century, the British may no longer be a nation of shopkeepers after all.